My Indoor Volleyball Shoes What Do My Shoes and I Have In Common? The shoes for volleyball that I ultimately chose to always wear had to be light, airy and parts of them had to be made of a material that was flexible. I've discovered that certain elements found in my indoor volleyball shoes, also made up important traits and habits that I had as a professional volleyball player. Sounds weird, but let me explain. read on and you might find that you have these same personality traits when you step on the court as well. A material that expanded when needed but would always be able to bounce back to its original shape. Other parts of my indoor volleyball shoes were reliable and sturdy and when I needed a little push or some extra assistance from somewhere, I could always count on them to provide that assistance. No matter what, in every pair of shoes that I bought, there always had to be enough inner cushion in the shoe lining. That cushion was there to provide protection that I could rely on no matter how hard I landed on my feet after spiking a ball. That cushion also provided stability. I had enough cushion to provide stability around my ankles which provided protection that would allow me to do my job in a secure and safe manner. The qualities that I looked for when buying indoor volleyball shoes were the same ones I had as a professional player. I was pretty light hearted when playing pro volleyball. I was very competitive but I stayed light hearted so that I could really experience the process. I didn’t get to be crazy superstitious like some pro volleyball players and teammates. In fact in some situations if my team was too tense I knew what teammates I could tell a joke to, to get them to lighten up and enjoy the game. That was fun, they had to laugh which made them relax and play better volleyball. Or in this case pretty easy to get along with. I could adjust to playing with different people that had very different personalities when playing volleyball. I could play different volleyball positions when it was necessary. For example at the start of a game, I may have been playing left back defense but somewhere in the middle of the match if I saw that I could be more useful if I switched to middle back where I could pick up more balls then I'd do that so that my right back volleyball setter could release sooner to get to the net. I was also flexible enough to be competitive and serious when it was time to be competitive and serious. But I could so be funny and crack a joke when it was necessary. I could always be relied on to talk on the volleyball court. Yep, I was a “motormouth.” But I only said things that were important for my team to know. I always directed traffic by calling out what I saw was going on, so that there was less chance of my teammates being caught by surprise. Whether between volleyball plays or during the play, my teammates could rely on me to tell them either who was going where, and/or what serve to watch out for, or what were the hitting tendencies of all the opposing team’s players who were now front row. As a professional volleyball player I was hired to be the "go to" outside hitter. Just like Kobe Bryant was relied upon to make crucial shots and to some times carry his team, I was relied upon to put the ball away for a point or sideout especially when others on my team couldn’t. If someone needed help with passing a ball then as a pro player I had no problem taking more area of the court to pass a ball to help them out. The same thing happened while blocking a ball at the net. If my shorter teammate was blocking against a taller hitter, then I’d ask her to switch positions after the serve, so I’d match up against the taller blocker and she could do what she does better, which was to pick up any tips or to play defense. As a pro volleyball player you need to be the one player that your other teammates can rely on to provide leadership and calm, even when things are crazy around you. While playing volleyball in Italy, I was captain of many of the teams I played on. I knew who needed to be told a joke when the score was tied, or at what times my setter needed to be encouraged and/or who needed to be reminded of how good of a player she really was just before she served the ball. And, I had to be one of the best players on my team. That was my job, that’s what I was paid to do. All these personality traits are the same things I looked for and relied upon as shoes for volleyball. Okay so now I ask you, am I the only player out there who has some of the same personality traits as a pair of indoor volleyball shoes? 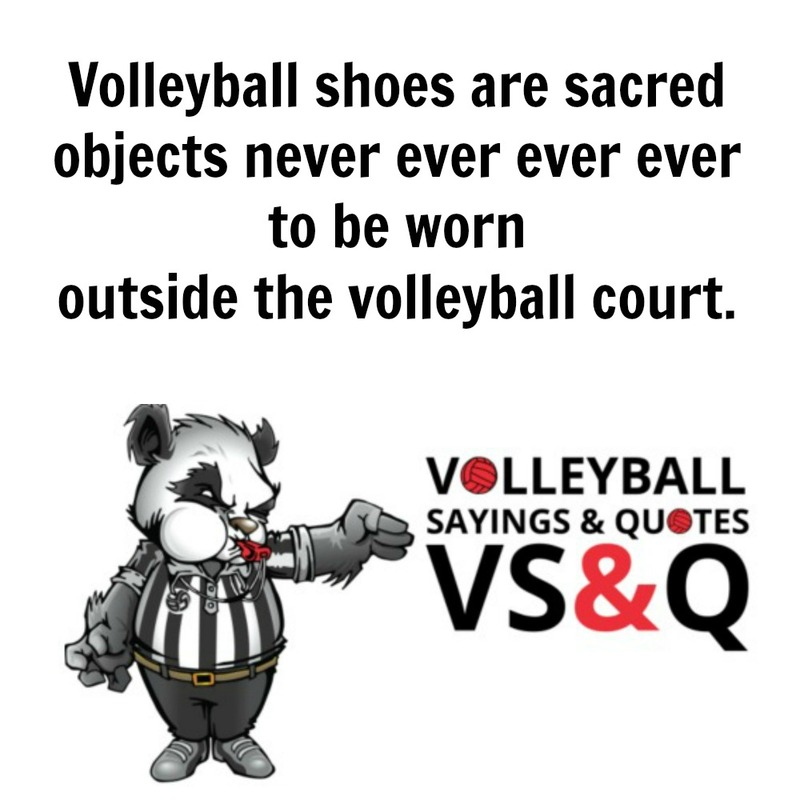 You can learn more about Volleyball Shoes by visiting the Related Links below. My Indoor Shoes What Do My Shoes and I Have In Common?